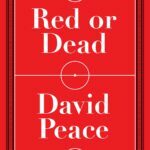 David Peace’s Red or Dead is our first ever Howler Book Club selection. 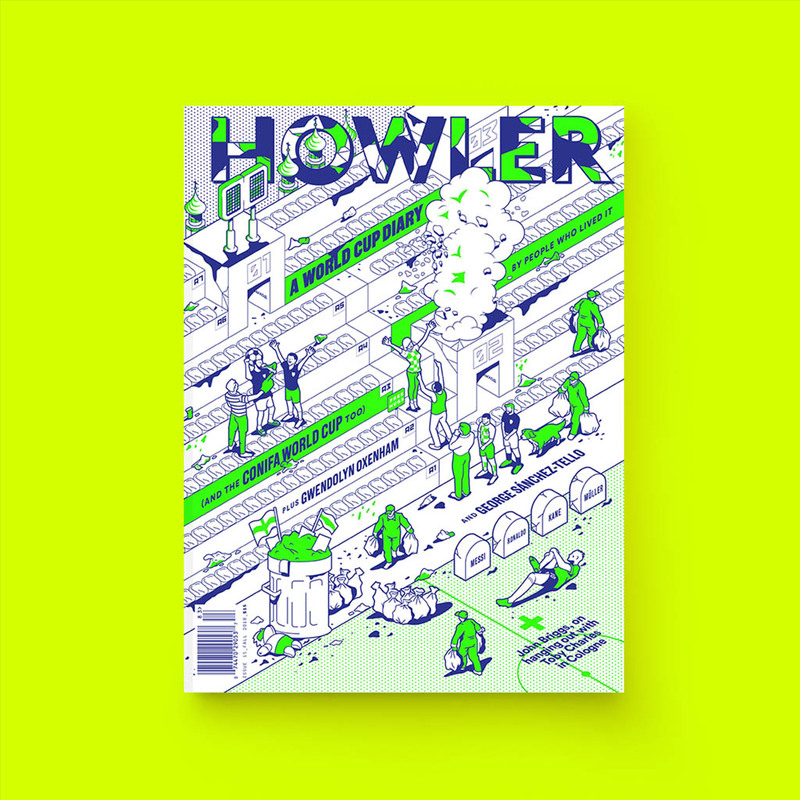 Though its subject is iconic Liverpool manager Bill Shankly, a man who led the club from 1959–1974, Howler contributor and Liverpool fan Gaby Kirschner has found parallels between Shankly and what current Liverpool manager Jurgen Klopp is building at Anfield. Born in 1994, I never had the privilege of living through the Shankly years. In fact, I wasn’t even close. Twenty years and three managers separated my very existence, let alone my fanhood or at the very least the ability to hold my head up on my own to watch soccer games, from the last year of his tenure. When I started following the club in 2007, what I knew first was what was right in front of me: Rafa Benitez, Steven Gerrard and John Arne Riise and Sami Hyypiä and Xabi Alonso, and the annual crippling sadness of losing in a final (and soon after, of consistently not making one at all). And yes, because a good player is a good player but also because I was a 13-year-old girl, Fernando Torres. 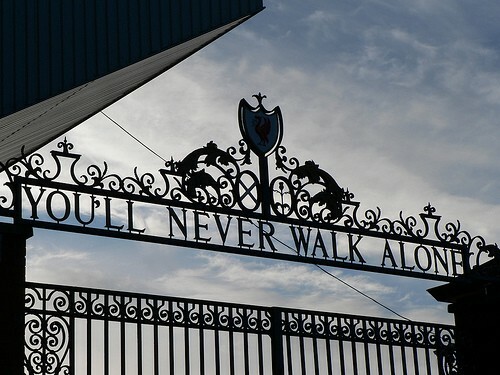 But it was impossible to become a Liverpool fan beyond just turning on and off the television without knowing Shankly. It’s hard to avoid mention of him when delving at all into Liverpool’s history, considering not only his success, but how he laid the foundation and legacy on which the club could build their modern successes. Soon, learning from more seasoned fans, my own research, and David Peace’s Red or Dead, I knew about the Liverpool way. I knew that football was much more important than life or death. I knew how we finally climbed back out of Division Two. I would never know what it was really like to be in the crowd singing the newborn anthem of “You’ll Never Walk Alone” after the 1965 FA Cup final, but I had the studio version on my iPod, and that was close enough. 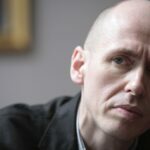 In recently revisiting some of those articles I came across over the years, one line from the Guardian stood out: “[Shankly] led Liverpool like a revolutionary leader, casting his personnel not just as footballers but soldiers to his cause, and became a folk hero to the fans.” The sentiment felt familiar, and not in the sense that I had read that article before or had felt that attitude in Peace’s book. Maybe I was just clouded by Liverpool’s wild unbeaten streak, but that read like it could’ve easily been lifted from a Jurgen Klopp biography. After all, he did recently have to plead with fans to stop singing his name. And there was more. Shankly “transformed Liverpool through sheer force of personality”; Klopp’s smile and over-the-top goal celebrations are a staple of his leadership, and there is definitely no player on the team he hasn’t swooped off the ground in a bear hug. Shankly “rebuil[t] [the team] around outstanding youth team players and hungry unknowns”; Klopp has already given 10 academy players their first team debuts and has said he intends to use them more even without the “less important” Europa games to test them in. And though you can hardly call Liverpool’s squads unknowns, he has also gotten more quality out of less flashy players like Dejan Lovren and Adam Lallana than anyone expected they had. And finally, Shankly “instilled pride, discipline, loyalty and a relentless work ethic;” Klopp is confident Coutinho will spurn Barcelona to win trophies at Anfield, while Jordan Henderson has run more than any other Premier League player and Adam Lallana has set the record for distance covered in a single game — twice. Time will still tell whether or not the same results will follow, but I’d say that currently sitting in first place with the second highest goal difference is a good sign. Between Klopp and Shankly, there were, of course, many others who left their own mark on the club. There was Bob Paisley, who won six First Division titles as well as a handful of other trophies; King of the Kop Kenny Dalglish, who won three First Division titles, like Shankly, and boasts the second best win ratio of any Liverpool manager (behind Paisley); and Rafa Benitez, who — in my actual, living memory — won us our fifth Champions League title in Istanbul, if you hadn’t heard. They were all great managers in different ways. Paisley’s strengths lied much more in his tactics than his personality, cool and calm yet effective, as did Benitez’s. In fact, Gerrard even considered the latter quite cold, which was effective in its own ways. 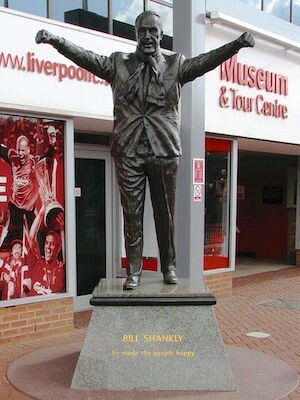 Whether Bill Shankly would’ve inspired the second-half comeback against Milan is not a debate I’d like to have. To be clear, there will only ever be one Bill Shankly. I’m not looking to superglue Klopp’s head onto the Shankly Gates, nor am I predicting that Klopp’s managerial tenure will produce anywhere close to the six (or nine, depending on whether you count the Charity/Community Shield) trophies that Shankly’s did. 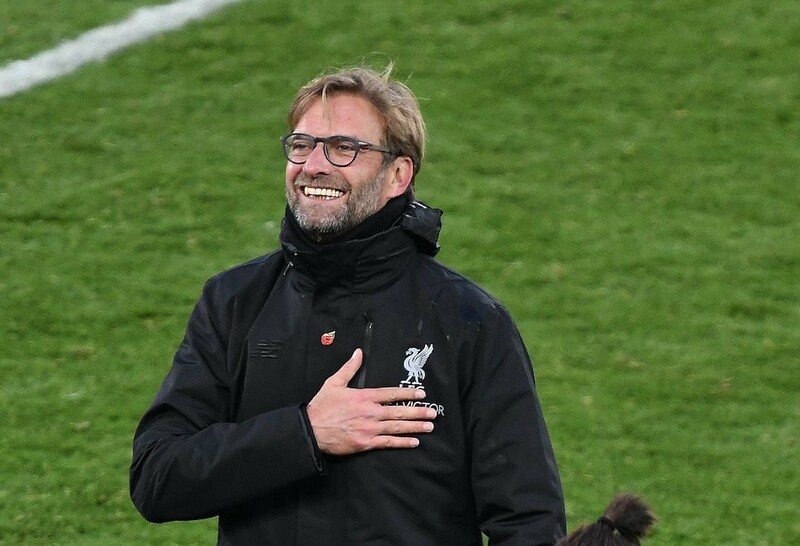 But if the work rate, enthusiasm, and passion that Klopp has re-instilled in both his players and the Liverpool supporters are anywhere close to what Shankly brought to the team 57 years ago next month, then fans have every reason to be just as excited for the future as they are. It is Shankly’s legacy, Shankly’s Liverpool, off the page and on the pitch. And hey, maybe we’ll only have to wait two years under Klopp — one fewer than under Shankly — to win a league title after this era’s 15-plus year drought. Fingers crossed.